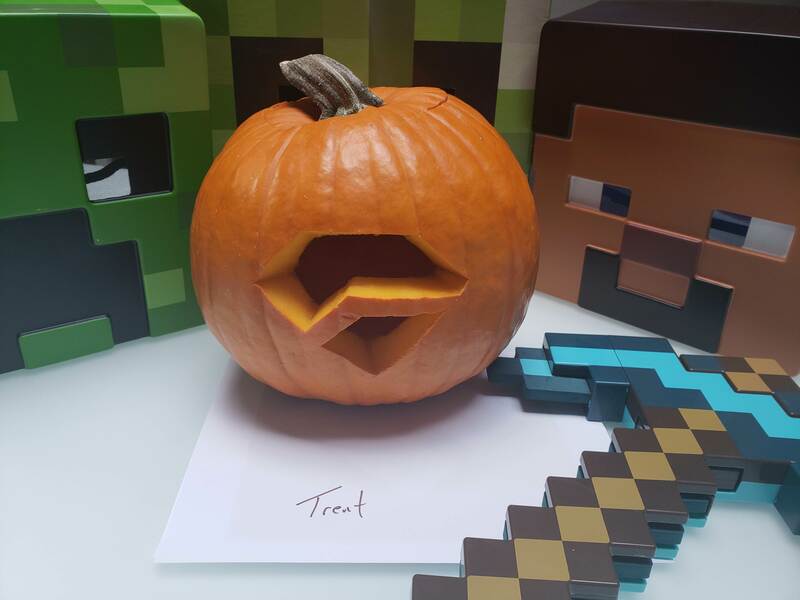 We're doing a contest to see who can carve the coolest Minecraft or Minehut related pumpkin! You can have multiple submissions, and ask friends for help (but only 5k credits for the winner). Top pumpkins will be shown on Good Grief next Friday, October 26th. We'll choose a winner during the stream. You have until the start of Good Grief to enter your pumpkin - 2pm pacific time on October 26th. If I had a pumpkin, i'd enter. i'd totally enter but i'll be at bootcamp. 'tis the season to be jolly lalalala. It's not even Halloween yet .-. It will be in 12 days. We still only have 1 submission. Unless someone else carves a pumpkin, ez 5k credits for that user!